can You Use Standard ICe & Water BArrier beneath metal Roofing? I never really thought too much about the difference until a customer of mine had a problem with a black substance oozing out between the metal diamonds on his roof. The problem turned out to be - you've likely guessed it - the ice and water installed by his roof contractor. The contractor had used the was the regular kind and it was literally melting in some of the areas where it was touching the metal diamonds that were directly exposed to the sun for extended periods in the day. The fix was switching to the High Temp version of the same manufacturer’s membrane. The high-temp versions of ice and water are usually labelled for metal, or high temp, or some other designation indicating their suitability. It’s worth taking the time to make sure that you use the right type under metal. 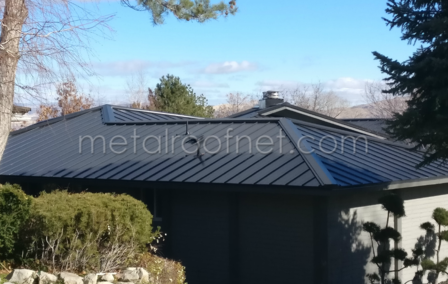 Have a metal roofing question? Post in the comments and we'll share it with everyone!